1 - 2 $5.75 ea. 3 - 10 $5.10 ea. 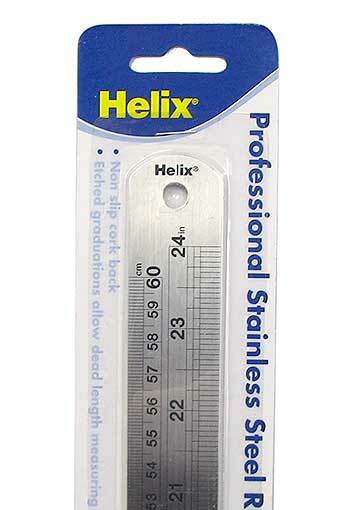 Good advice for us all, and true of this clear, flexible shatter-resistant plastic ruler from Helix®. 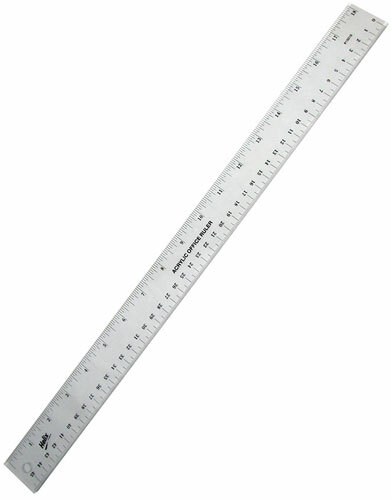 Measures 12” in 1/16” (and 30cm in 1mm increments). 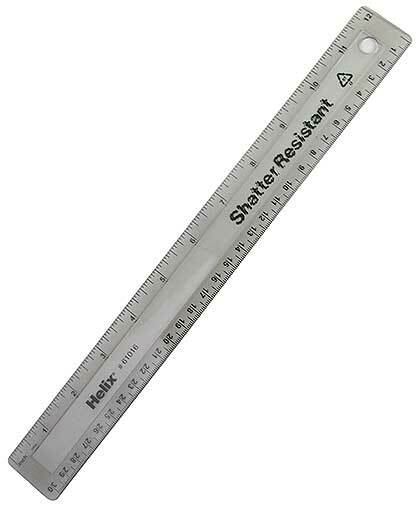 Accept no amateur rulers. 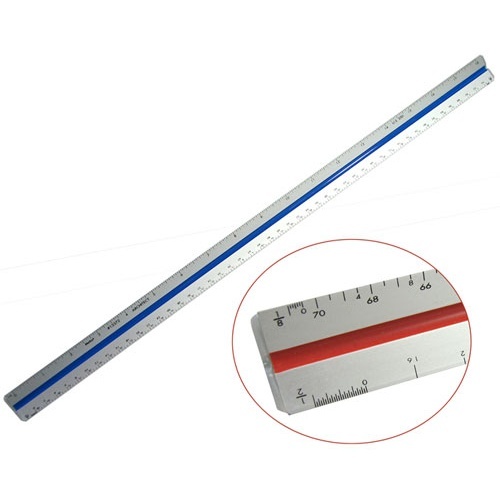 But seriously, this 24-inch professional steel ruler from Helix® is cork-backed, and marked in 1/32” increments for the first two inches, 1/64” for the third, and 1/16” for the rest. 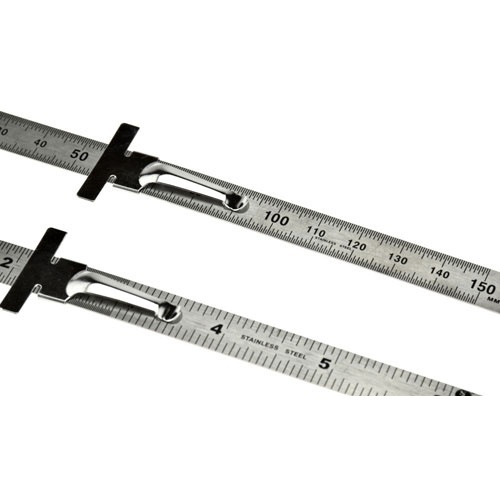 Also shows 60cm x 0.5mm for the first 10cm, and 1mm for the remainder. Markings are etched, so they won’t rub off with use. 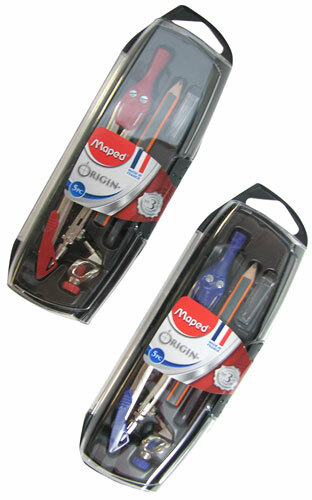 There are just two, actually, and one of them is a pencil, on a drafting compass. Sometimes it’s better to draw circles without using software, don’t you think? 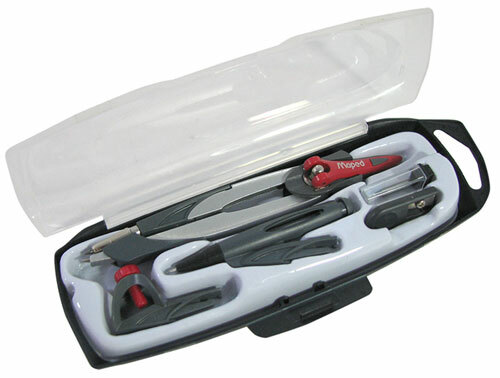 If so, try this one from Helix®, with 3-1/2” legs with (2) 2mm dia x 15mm long leads, a small sharpener, folding needle guard (for the other point) and a 3/8” ID pen/pencil holder with a thumbscrew lock. Made in France, merci. 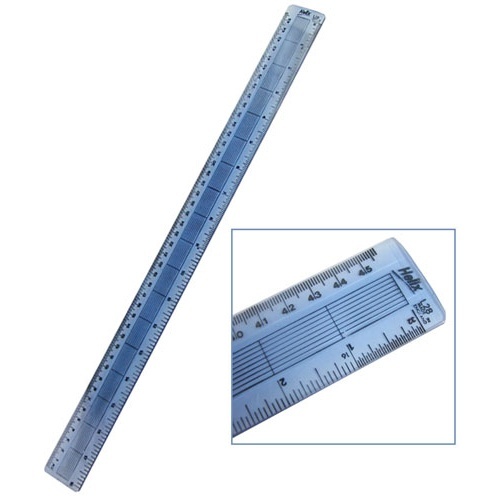 This 18-inch x 1-1/2” wide clear acrylic office ruler from Helix® is marked as an office ruler, and we don’t know why, but we like it. Measures in 1/16” increments, and all the way up to 460mm on the other side. 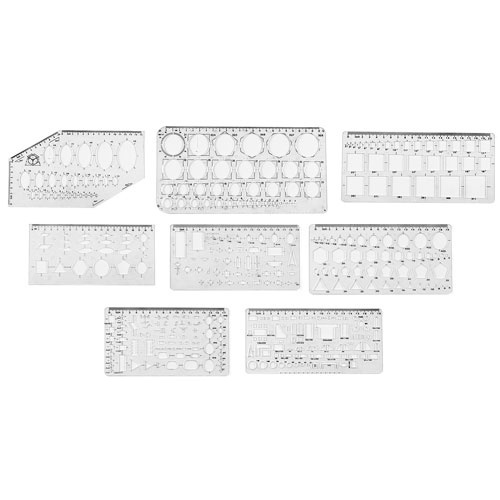 Edges are cut at 45 degrees for your non-smearing, line-drawing pleasure.